Glasgow’s annual folk, roots and world music festival, Celtic Connections celebrates Celtic music and its connections to cultures across the globe. From 17 January – 3 February 2019, 2,100 musicians from around the world descend on Glasgow for 18 days of concerts, ceilidhs, talks, art exhibitions, workshops, and free events. The diverse and broad gigs on offer this season have undoubtedly contributed to the continued growth of interest in the festival (now in it’s 26th year) and to the continued popularity of folk and trad music, particularly for new and younger audiences. The importance of making trad or roots music appealing to children and young people is a key feature of sustaining interest in the trad scene, and this year, Celtic Connections have a wealth of events that will enthral younger audiences and ensure the continued love of folk and traditional music for generations to come. 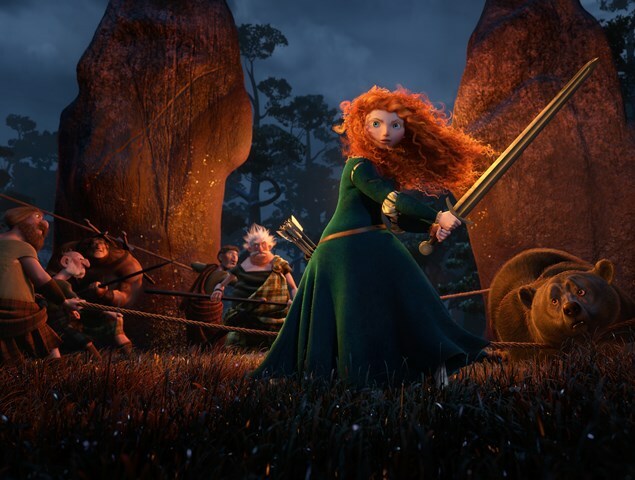 This year saw the programme included a special screening of “Brave”, Disney Pixar’s award winning 2012 film, which tells the story of Merida, a headstrong young Scottish princess who dreams of freedom and choosing her own destiny. Scored by Patrick Doyle, the ethereal composition was brought to life by the BBC Scottish Symphony Orchestra during this very special screening at the Royal Concert Hall in Glasgow. Conducted by Dirk Brossé and featuring the vocal talents of young Scottish singers, including Aberdeenshire’s Iona Fyfe, and harpists and bagpipes which showcased the finest of Scots talent in memorable renditions of favourite songs and scores from the film. Doyle has spoken passionately about the importance of including Scots language and encouraging a new generation of young Scottish instrumentalists and singers not only to appreciate their heritage but also to be proud of their own voices, native language and dialects – and this commitment showed throughout the performance. “Brave” in concert was sure to appeal to younger audiences, at the screening on the 19th of January it was marvellous to see the audience made up of wee ones mesmerised by the orchestra and traditional celtic music. Similarly, Elephant Sessions – the award winning indie folk quartet from the Highlands – have a huge following, including many in the under 30 age bracket. This year, their Celtic Connections gig was hosted at Queen Margaret Union, Glasgow University’s student union and live music venue, which was packed with fans of this trendy trad band. Elephant Sessions’ massive appeal is thanks to a clever blend of trad, funk and electronica – meaning heavy, high paced beats that are perfect for getting the crowd bouncing. This young band are able to hold the audience in a fast paced, energetic performance, so it’s clear to see how the band are having a critical role in making Scottish trad music appealing to a younger audience, and consequently are now enjoying being regular features of the European festival circuit. Their albums, “Elusive Highland Beauty” and “All we have is now” both received much deserved critical acclaim, and with a loyal following – their continued success is guaranteed. Once again, Celtic Connections have managed to produce an incredible line-up, that is sure to appeal to wee yins and auld yins alike.